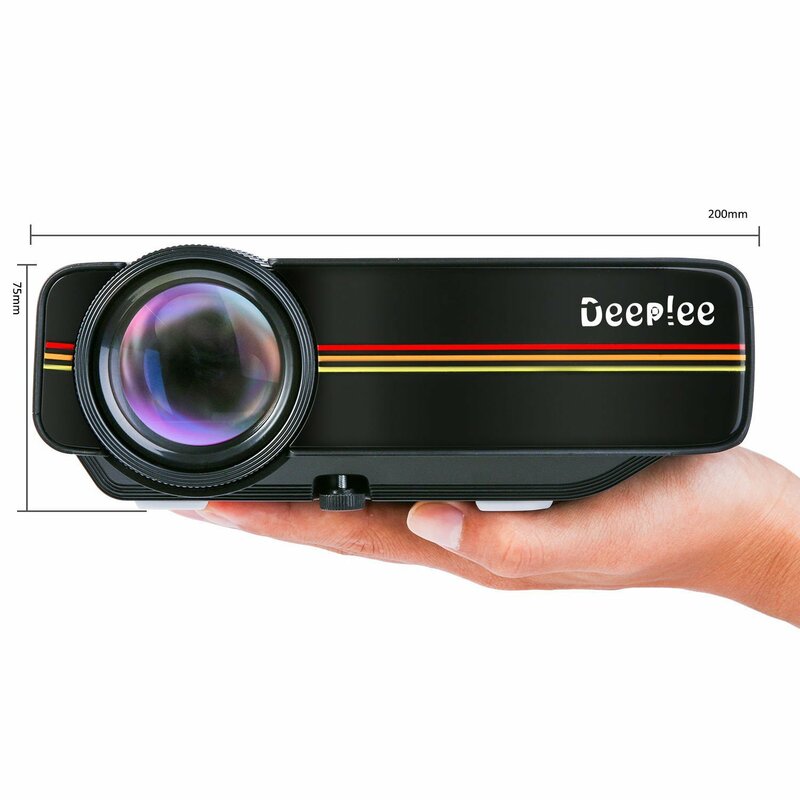 DeepLee DP400 Mini Projector is ideal for home entertainment. It delivers high quality pictures for party, TV shows, football nights, home cinema, video games and backyard night movies. 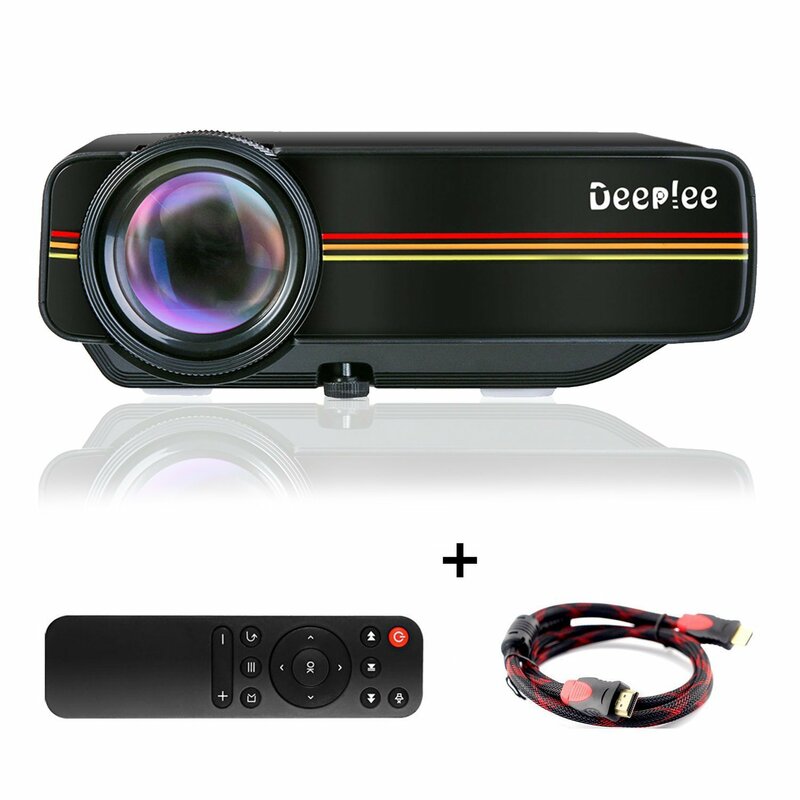 It is recommended to use in a dark environment, you can use this DeepLee video projector for home theater movies & video gaming. However, it is not recommended for technical presentation, business presentation and PPT. 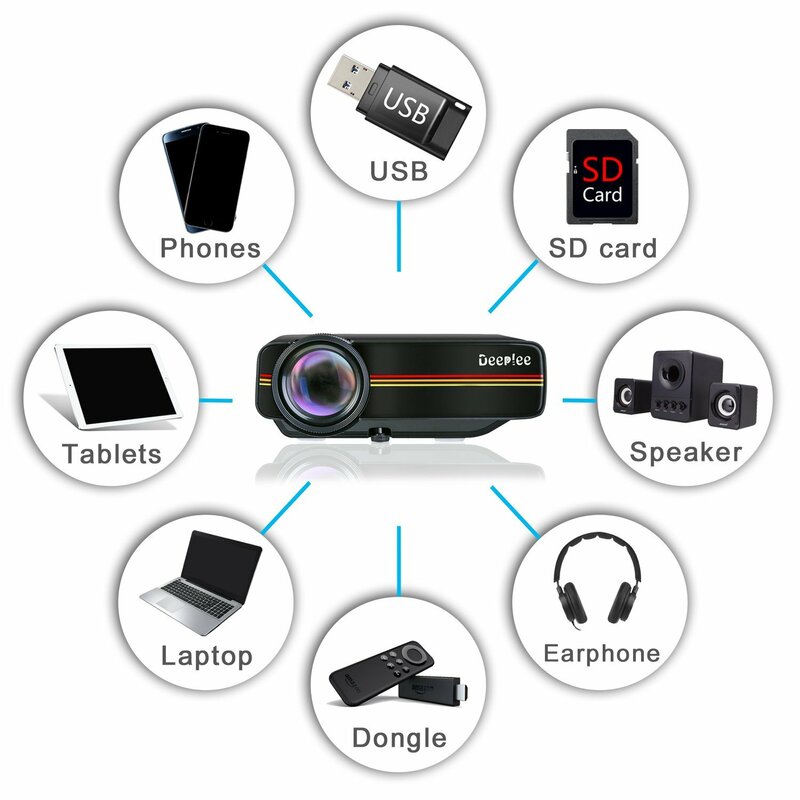 There is no doubts that this DeepLee video projector offers great image and video display. It offers 36” to 150” screen size at the projection distance from 5 feet to 14 feet. However, the best projection distance is approx. 7 feet with screen size of 80 inches. You can enjoy the best watching experience. Further, this DeepLee video projector has 800 X 480P native resolution and 1080P support resolution, up to 167K and 1000:1 richer colors, 100 lumens LED brightness. With all these capabilities, this DeepLee small size projector can offer great home cinema experience without any doubts. 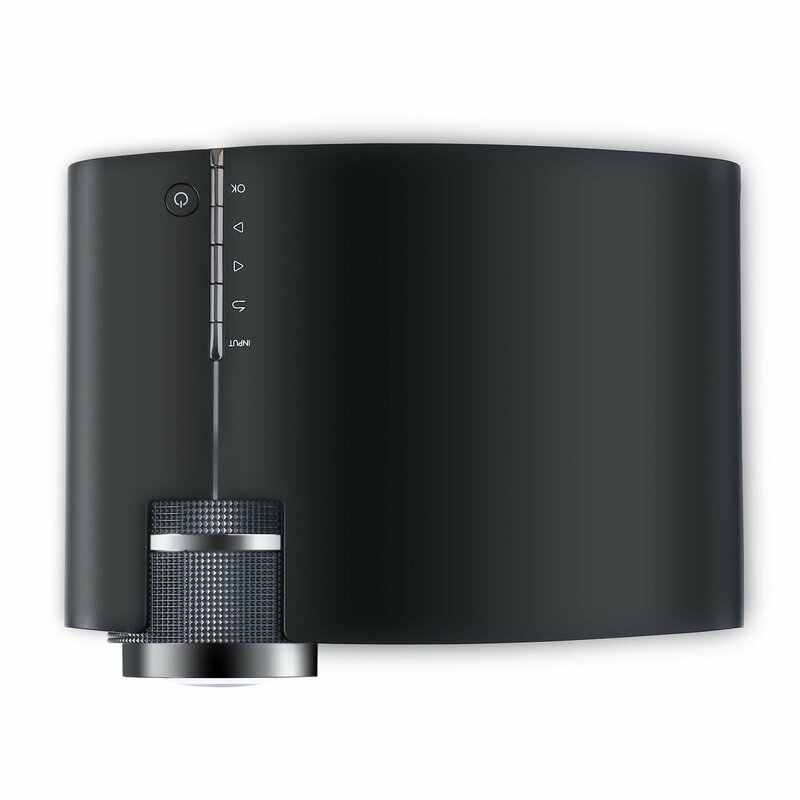 When it comes to multiple interfaces in this DeepLee projector, it supports many input interfaces such as HDMI, USB, SD, AuX, AV and VGA. You can easily connect to laptop, DVD player to enjoy high quality videos. You can connect this projector with gaming consoles such as PS3/4, Xbox, Wii using the HDMI port and enjoy games on a wider screen. You can also hook up to headphone, outer speakers via 3.5MM AUX port. Please make sure that to connect with iPhone, you need an HDMI adapter or wireless HDMI adapter for such purposes.